"As the hole is never closed, the animals are suspect to various infections and diseases including tumours, cancers and death from peritonitis. The bears are fitted with an iron vest, as they often try to kill themselves by hitting their stomach as they are unable to bear the pain." 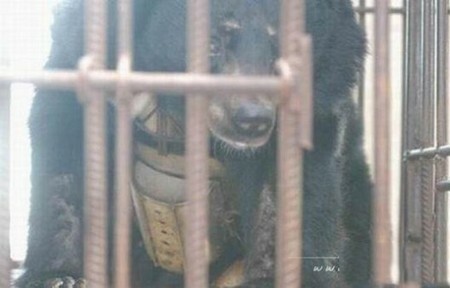 "The witness... claimed that a mother bear broke out its cage when it heard its cub howl in fear before a worker punctured its stomach to milk the bile. 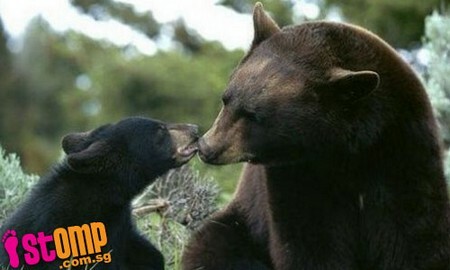 The workers ran away in fear when they saw the mother bear rushing to its cub's side. It then dropped the cub and ran head-first into a wall, killing itself." Quotes from Asia One, along with some very unsettling photo art.